Organizing Committee: Leeward Community College, Dept. of Business Economic Development & Tourism, Small Business Administration (SBA), Department of Commerce & Consumer Affairs’ Business Action Center, Hawaii Small Business Development Center (SBDC), Internal Revenue Service, Patsy Mink Center for Business and Leadership, FORʻEWA Pono Ewa Beach Community Based Development Organization. Go to the 2018 Small Business Flickr Album to view photos from last year. Legal Expert: Top 10 Service Contract Issues Before you sign on the dotted line, did you read the “fine print”? Explore the most important issues to consider when negotiating a contract for services, including how to determine if the contract is fair and appropriate, how to protect your business if the other party fails to perform, and more! Mr. Fisher has negotiated, drafted, reviewed and analyzed literally thousands of contracts for business of all sizes. Over the course of his 25-year legal career, he has worked with business owners and executive teams advising them on how to create a fair and appropriate contract for each client circumstance. Legal Expert: Commercial Leasing Do’s and Don’ts Understand the real costs involved in commercial leasing; what a typical lease agreement looks like; what to avoid or be aware of; how to utilize free rent; and choosing a commercial realtor. Mr. Fisher concentrates his practice in the areas of complex real estate and business transactions. Over the course of his 25-year legal career, he has worked with business owners and executive teams advising them on legal issues they may face in signing a lease agreement with a landlord. Legal Expert: Choosing the Right Business Structure Forming your business is one of the first tasks of a start-up, but which entity type do you choose? Find out the differences, advantages/disadvantages of corporations, LLCs, partnerships, and sole proprietorships. Which one is right for you? Gregory Kim is a corporate and securities attorney, and founder of Vantage Counsel LLC, one of the first virtual law firms in the United States. Previously, Greg was a partner at Silicon Valley firm Convergent Law Group LLP, a partner at Goodsill Anderson Quinn & Stifel, and an associate at Pillsbury, Madison & Sutro in SF (now known as Pillsbury Winthrop). Greg received a BS in Engineering and Applied Sciences from Yale University in 1979 and a JD/MBA at the U.C. Berkeley, in 1983. Legal Expert: Protecting Your Brand & Your Product Successful companies often compete on their uniqueness without realizing how easy it is for another company to copy. Learn about the different types of intellectual property (copyrights, patents, and trademarks), why you need to protect it, and how to do just that. 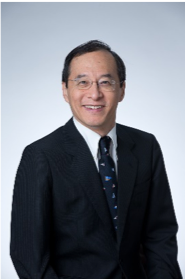 Mr. Hsia is a registered patent attorney (one of the few patent attorneys in Hawaii) and the Chair of his firm’s Intellectual Property Practice Group. He practices patents, trademarks, copyrights, trade secrets, right of publicity, computer, licensing, Internet and entertainment law at Cades Schutte. His practice includes advising clients about all aspects of US, foreign and international intellectual property rights. Ms. Kryzkowski is a partner at Cades Schutte concentrating in intellectual property, including patents, trademarks, copyrights, trade secrets, and licensing. She counsels clients on all aspects of foreign and domestic intellectual property portfolio management, including filing U.S. patent, trademark, and copyright applications at the U.S. Patent and Trademark Office and the U.S. 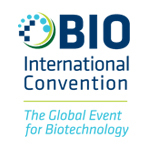 Copyright Office, filing international PCT patent applications and Madrid Protocol trademark applications, prosecution, licensing, and due diligence. 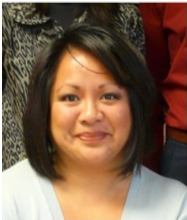 Susan- State of Hawaii, Department of Taxation Investigator with the Special Enforcement Section for a year. Retired from the IRS with 31 years of service. Jason- Received a BA in Political Science and Masters in Public Administration from the University of Hawaii at Manoa. Worked as a legal assistant for a law firm and as a fingerprint/criminal background check specialist for a contracting company. 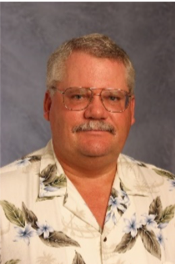 Mr. Zane received a BA from the University of Hawaii, and a JD-MBA from the University of Santa Clara. After college, Mr. Zane spent a number of years as a financial analyst, contracts supervisor, and Financing Manager for a Silicon Valley computer firm, as well as several years in the financial services industry. 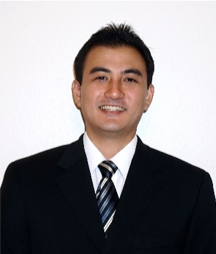 Currently, he is a Special Enforcement Investigator with nearly 6 years’ experience at the State of Hawaii Department of Taxation. Ronald- 3 years as Special Enforcement Civil Investigator and 4 years in Auditing. Bachelors in Finance and in Business Management at HPU. Introduction to Federal Income Taxes From a sole proprietorship viewpoint, we’ll cover what constitutes income, deductible expenses & how to find answers to tax questions as well as cover basic information on federal income taxes for small business owners. EA/CEO/Business Specialist of Personal Accountant, Inc.
Bachelor’s Degree in Business Administration, with Focus on Accounting & Taxation (w/Honors)— University of Hawaii 2004. Relevant Courses: Financial, Managerial, and Advanced Accounting, Micro and Macro Economics, Marketing and Consumer Behavior, Tax Concepts, Corporate Tax and Global Management. Social Media Marketing Learn how to use and manage various social media platforms in effective ways to reach your customers. Viktorija holds a degree in Business Information Management from Vilnius University, Lithuania. 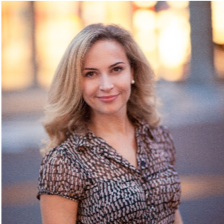 Prior to joining the VBOC of the Pacific, Viktorija was a Regional Client Consultant with the Euromonitor International and Business Advisor Intern with Hawai’i SBDC. 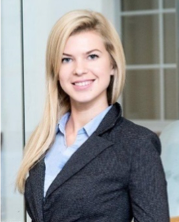 Viktorija has lived and worked in several European Countries (Lithuania, Vilnius; Great Britain, London; Estonia, Tallinn; Spain, Madrid; Finland, Helsinki) and interned at United Nations World Tourism Organization. Build Your Own Website to Sell & Market Products Online Learn the basics of setting up a website for your business (no technical skills required) and the options available to start selling your products online. Learn about driving more visitors to your site and converting them to sales more effectively. Learn about growing your audience organically by offering real value to your target market. Oksana Harris is a User Experience and Digital Presence consultant, who helps established and new brands find the right entry point into the digital world. She has worked for years on the business side of software - envisioning, defining and launching products to tackle market problems. Oksana added technical software development expertise to her skillset through the DevLeague program right here on Oahu. The Secret to Marketing Marketing does not have to be prohibitively expensive. Get great ideas for maximizing your marketing dollars. Bob Sigall is a life-long entrepreneur. 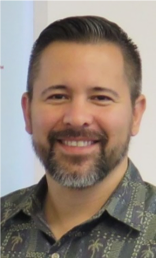 He earned a master’s degree from the University of Hawaii and is a published Author of five bestselling - The Companies We Keep books and he writes a weekly column in the Honolulu Star-Advertiser called Rearview Mirror. Selling your Product Beyond Hawaii Hawaii is a small market so as companies expand they are quickly looking at selling outside the state including internationally. Come learn how to develop a successful export plan to reach larger markets. Mark Ritchie joined the Department of Business, Economic Development and Tourism (DBEDT) five years ago as the Branch Chief for Business Support services. 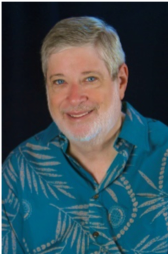 Mark works on a number of economic development programs including HiSTEP (Hawaii State Trade Expansion Program), which assists Hawaii companies with exporting their products and services to larger markets outside the state. 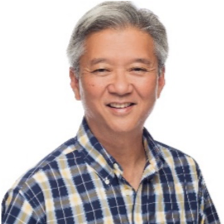 Prior to DBEDT Mark has held positions in a Hawaii Life Science start-up, a major Silicon Valley tech company in addition to economic development positions in several global trade and inward investment organizations. Design Thinking Successful businesses help their customers solve a problem by offering a product or service. Learn how to use empathy and innovation to fill a need in your community in this 2-hour course. 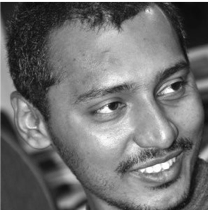 Design Strategist at Oceanit, expertise in downstream product design and development processes. Interested in applying and teaching ‘Design Thinking’ to create human-centric products and services. Business Plans This 2-hour course will cover the elements of a good business plan, including revenue growth; marketing, management, budgeting, etc. As a result of working with Christiane, you will have a lifestyle and business grounded in love and service where you shine in your zone of genius. My coaching and consulting will assist you to create simple and doable personal self-care routines and business systems that feel good, that transforms and inspires your soul to live your life’s purpose. Research Your Market Using Free Tools & Data Utilize free research tools and data to maximize success in your market segment and monitor market changes. Learn how to access and use this valuable info! Bring your own laptop to access tools yourself during the instruction. Eric Coyle is a Data Dissemination Specialist for the U.S. Census Bureau for the western region of the US. He conducts data access workshops and presentations every month to a variety of organizations, local governments, businesses, media, and universities. Hear from a panel of entrepreneurs who support Hawaii farmers by using locally grown agriculture to create products and build their business. Learn about the purpose of the Hawaii Agricultural Alliance and see plans for a new value-added product development center to be built in the Wahiawa community. 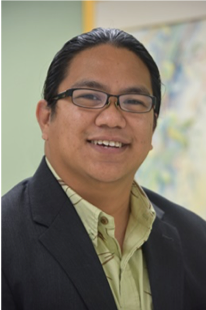 William Castillo is an Assistant Professor and Workforce Development Coordinator at Leeward Community College’s Office of Continuing Education and Workforce Development (OCEWD). OCEWD specializes in workforce training embedded with industry credentials, professional development for incumbent workers, and customized training programs. 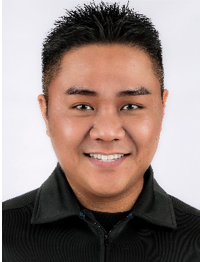 William has over 15 years of experience in education and working with non-profit organizations with an emphasis on adult education. He holds industry credentials as a Certified Healthcare Access Manager (CHAM) from the National Association of Healthcare Access Management (NAHAM) and Certified Contract Trainer (CCT), Certified Program Planner (CPP), Advanced Program Planner (C2P) credentials from the Learning Resources Network (LERN). Launch My Product This workshop will help small business owners understand key principles of developing their own product. Learn how to think clearly and objectively about problems and develop solutions that work best for your product launch. 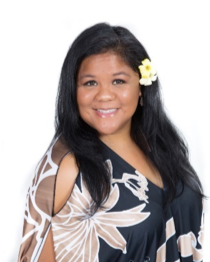 Noela Napoleon is the President of Advocates Hawaii and Lead Business Counselor and Instructor at the Patsy T. Mink Center for Business & Leadership (MCBL) at YWCA O‘ahu. She helps women and men start their own businesses and enjoys helping people from all walks of life make their ideas come to life. Ms. Napoleon is an entrepreneur herself, having begun her own business venture with her husband called Slush Puppie Hawai‘i. The company specializes in frozen beverages and desserts. She is a graduate of the University of Hawaii at Manoa with a degree in Graphic Design and a mother of four children. 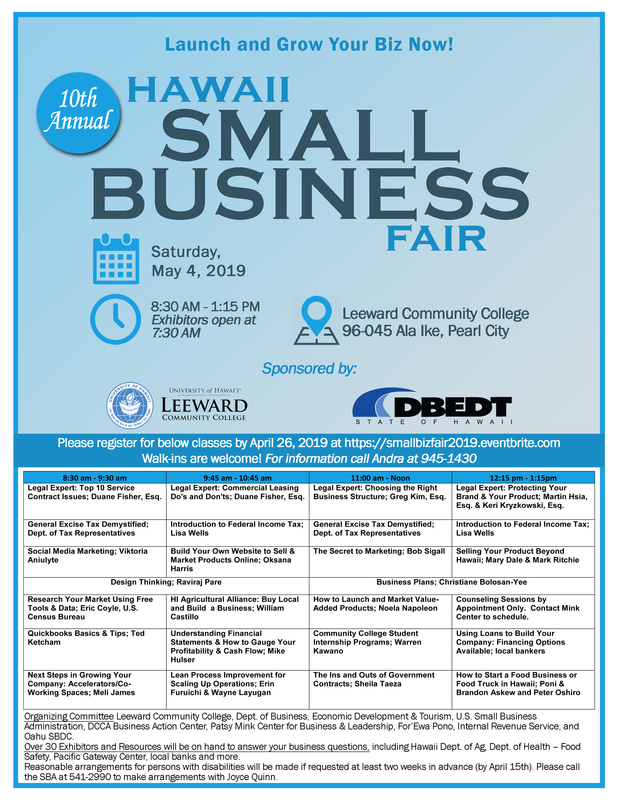 One-on-One Business Counseling Meet one-on-one with a knowledgeable counselor provided by #SHOPSMALLHAWAII Resource partners from the Patsy Mink Center for Business & Leadership. To make an appointment call 808-695-2635 and ask for Colleen. 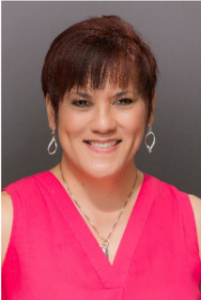 Terri Funakoshi is the Director at the Patsy T. Mink Center for Business and Leadership (MCBL), a Women’s Business Center that is partially funded by the U.S. Small Business Administration (SBA) and a program under YWCA O‘ahu. She has extensive experience in Hospitality, Travel Retail & Manufacturing. 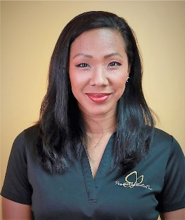 She is a graduate of the University of Hawaii at Manoa and has a Bachelor of Science degree from the College of Tropical Agriculture and Human Resources. 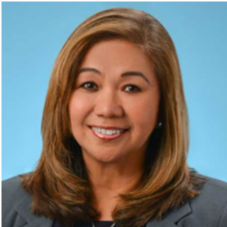 Terri was recognized in 2018 as the SBA State of Hawaii Women’s Small Business Advocate. Quickbooks Basics & Tips After learning basic tips on how to use the program, learn more advanced tricks for small businesses. 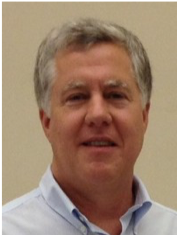 Ted Ketcham is a former Certified Financial Planner. Since 1996 he has done private accounting, tax and consulting work through his firm, Island Life. He has owned several businesses and has had as many as 30 employees at a time. He is a QuickBooks Pro Advisor and takes a very practical business owner’s approach to accounting and record keeping. Understanding Financial Statements & How to Gauge Your Profitability & Cash Flow A successful business at a minimum is making a profit. Learn about financial statements and how to read them. Use formulas to determine whether your business is profitable and how to manage cash flow. 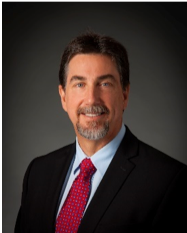 Mike Hulser is a former Fortune 50 Financial Officer, US Turnaround Management Association "Turnaround Manager of the Year" and US SBA "Financial Services Champion". As "The Biz MD", Mike helps Business Owners and Managers understand their Financial Performance and Position and formulate Plans and execute Actions to improve it. Mike is a recognized Expert on Financial Planning and Cash Flow. 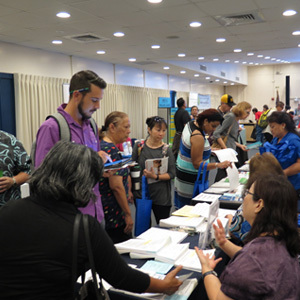 Community College Student Internship Programs Learn how to partner with Hawaii’s community colleges to find reliable student employees to help your business. While they gain valuable on-the-job training or internship experience, you will gain a quality employee. It’s a win-win situation for small businesses and the student! 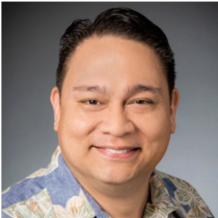 Warren Kawano is an Associate Professor of Business Technology and the Business Division Chair at Leeward Community College. The Business Division has four career and technical education programs that include Accounting, Business Technology, Health Information Technology, and Management. Determining the Right Financing for your Company Get a handle on the various types of small business loans available; how to qualify and put a loan package together. Learn how banks evaluate your loan application, through cash flow, balance sheet, tax returns, ownership and use of proceeds. 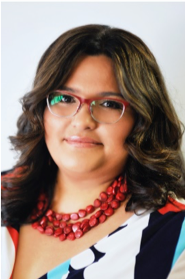 Trini is passionate about working with small businesses owners and enjoys providing knowledgeable counsel on their financial and banking needs. Her accolades include the Small Business Administration (SBA) recognition as a top producing lending officer, as well as the SBA District Director’s Award for her efforts in partnering with the SBA and training small business and veteran owned businesses. 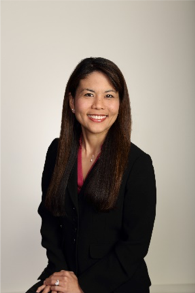 She brings more than 25 years of financial services experience to the job and is Green Belt Certified in Quality Improvement and Process Management. Trini enjoys travel, hula and reading crime fiction novels. Vice President and Banking Center Manager at First Hawaiian Bank. Expertise in Commercial Lending, Small Business Lending, Credit, Financial Analysis, and Mortgage Lending. Next Steps in Growing your Company: Accelerators/Co-Working Spaces Ready to leave your kitchen or garage and go the next step in growing your company? You don’t have to commit to an expensive long-term lease somewhere. Come learn about how accelerators and co-working spaces can help your business and make leaving home much easier and affordable. 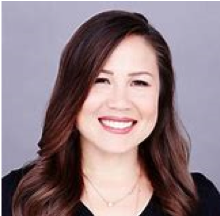 Meli James is a cofounder at Mana Up, a Hawai'i-based initiative designed to build the state’s next generation of CEOs in the retail and food product industry. 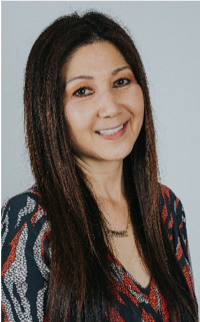 Additionally, she is president of the Hawaii Venture Capital Association, an organization that seeks to foster entrepreneurial development through education, networking, and access to capital. Lean Process Improvement for Scaling Up Operations As Hawaii companies expand into new markets, attention needs to be paid to meeting increased orders (manufacturing) and establishing procedures to service customers. Come learn about Lean Process Improvement and the do’s and don’ts of growing your operations and ramping up your production capabilities. INNOVATE Hawaii is a program under Hawaii Technology Development Corporation, an agency for the State of Hawaii, and serves as the state’s NIST Manufacturing Extension Partnership (MEP) National Network Center which supports small and medium-sized manufacturers to enhance their productivity, growth, and technical performance through programs and services across the islands. The Ins and Outs of Government Contract Certifications Learn the ropes of winning a U.S. government contract. Small Business, women-owned, veteran-owned, and other certifications can really help. Learn how! Sheila Taeza is a Business Opportunity Specialist (BOS) with the SBA Hawaii District Office and has 21 years’ experience with SBA. She provides business development, contracting, and procurement assistance to local small businesses. How to Start a Food Business or Food Truck in Hawaii Learn the ropes from experienced food entrepreneurs on how to start a food business. Stay out of trouble and learn how to successfully comply with important health regulations. Poni Askew co-founded Street Grindz in 2009. 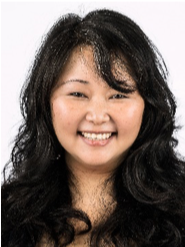 She is best known for producing events like Eat the Street and Honolulu Night Market which are events that were designed to provide support and opportunity to business like food trucks and locally made products. Poni has worked with over 350 small business owners providing support and mentorship when needed. 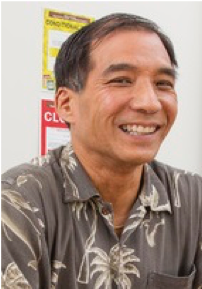 Mr. Oshiro is the Sanitation Branch manager at the Hawaii State Department of Health. The Branch is responsible for the implementation and enforcement of the statutes, rules, and policies relating to environmental sanitation; it also regulates food and service establishments.